It all started on the first Monday in February, Benyamin Cantz and I were driving down to LA to attend the 2010 International Food & Wine Festival. This is the third installment of this wonderful event, and we have both attended them in earnest, as to be honest, there are few places where one can taste hundred dollar kosher bottles of wine. As usual, the event is set up by the congenial and detail oriented Monica Agyekum, who heads up the marketing & public relations at Herzog Wine Cellars. The drive down started without much fanfare, but things changed quickly within the last 2 or so hours. Benyo wanted to stop off at a wine supply shop, and since we went down with the 101, we hit Paso Robles and the shop pretty quick. The visit to the shop though was far from quick. To be fair, I asked a bunch of questions as well, so the visit was a 50/50 time drain. After that, we were supposed to get to the Coast Wine Services (CCWS) in Santa Maria, to meet up with some folks making Rhone Ranger style wines, mostly GSM and GS (Grenache, Syrah, and Mourvedre) blends. Well no matter how hard we looked we could not find them. After asking around it turned out that their car had broken down, and we were more than happy to lend a hand. The only problem was that our car was already packed – NO not with clothes; this was a two-day trip for goodness sakes. But with Benyo’s wine! It turns out that he has many happy clients in LA, and we were shipping it to them! Well the trunk was filled with MANY thousands of dollars of wine, and we needed to pick up these two poor guys, and all of their belongings! AHH!! Thank the Lord, we made it work. However, the two guys were covered to their heads with their stuff, in the back seats. Well, we thought that would be the totality of surprises for this leg of the trip, but not long after Oxnard, a police man pulls us over. We are not sure for what; we were driving with the traffic. However, once he saw the two poor guys in the back, it was game over; he kept harassing me and begging me to say something stupid. All the while, I kept my cool, and prayed that we get out of this as well. Once again, Baruch Hashem (Thank the Lord), he came back and told us to drive slower. At that point all I wanted was some food and a bed to sleep on. I was dead. We had been driving and walking and packing for some good 10 hours or so. We slowly got to Jeff’s Sausage, where we inhaled two dogs and fries. We dropped off our guests, and headed over to our sleeping accommodations. The next day started off and ended in a wonderful way, which was a huge step up from our previous 24 hours. The day started off with a late morning, Starbucks coffee, and a short drive into Encino, CA found me meeting Craig Winchell at this nice Kosher Sushi restaurant, called Sassi Sushi Bar, for a late lunch. Craig has been a long time friend, and is the owner of the still existing Gan Eden Winery, and also the owner of the wonderful Smokin’! Restaurant in Valley Village. The last time we were here in LA, Benyamin Cantz and I enjoyed a meal there, and my posting of that dinner can be found here. We met there and we both enjoyed the meal, and on the way out I bought some plain (unsweetened) rice to go, to use as a palate cleanser for the upcoming wine tasting event that we were both going to. So many times people go to these wine tasting events and have no way to manage tasting more than some 20 or so wines, before their palate’s either die, become overrun with wine characteristics, or worse, ghost characteristics. I first heard of this approach on Rogov’s Forum, and I have used it many times, since then. After lunch we got into the rental car, and drove north on Highway 101 for some 38 or so miles. 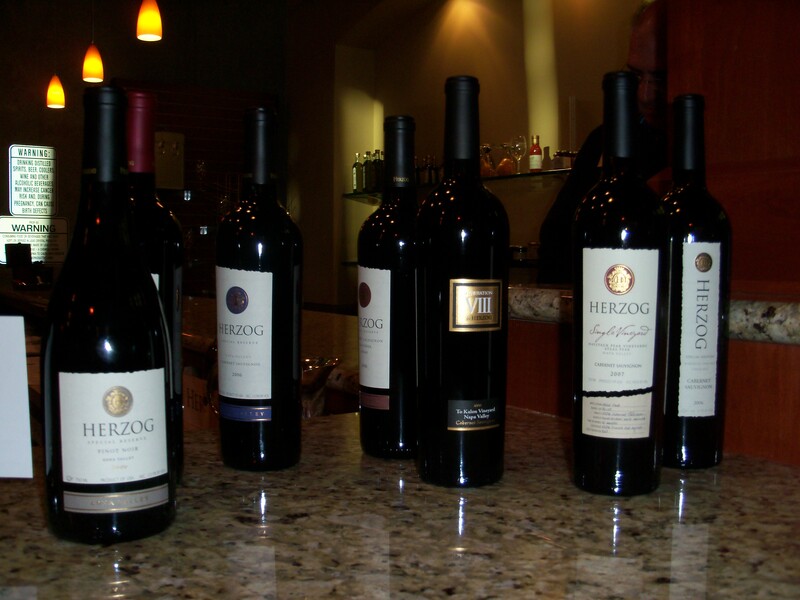 Herzog Cellars winery is a fascinating story. It started with Eugene Herzog immigrating to the US from Austria in 1948 after the war and after communism took over his winery. He worked for a small winery in NY, and by 1958 he became the majority owner of it. In deference to his grandfather, they called it Royal Wines, as he was given the title Baron in Austria. By 1985, the family decided that they needed a California presence, and so they hired the famous Wine Maker Peter Stern, to build their initial footprint into the world of high end wines. 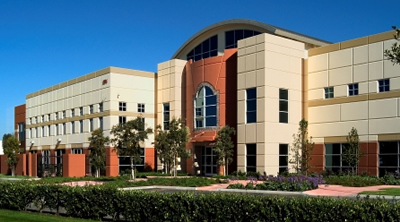 After that they moved to Santa Maria, hired the now head wine maker, Joe Hurliman, and leased space from Coast Wine Services (CWS), while all the while knowing that they needed a place that they could call home. In the end, Joe went looking for a plot of land, that was as close to a Jewish Community as possible (for the Kosher Wine managers), and landed on Oxnard. Not a classic place to house a winery, but one that is close to the highways to truck in the grapes and one close enough to a Jewish Community to allow for full time Jewish supervision. The winery opened in 2005, and three years later it started hosting the now yearly International Food and Wine Festival. As in years past, we came for both the trade and consumer parts of the festival. The festival’s name, International Food & Wine Festival, is aptly applied, as it is a celebration of both the Tierra Sur Restaurant and the wines made and imported by the Royal Wine Company. The trade portion is open during the early afternoon, while the public portion is open in the early evening. Craig and I arrived for the trade portion of the event right on time. As we approached the front of the winery, we were greeted by a pair of hostesses who took down our names and gave us name tags. As we entered the winery, I had a case of Déjà vu. The layout and setup was the same as the previous two incarnations. As you enter the winery, the conference room is to the right, where Jay Buchsbaum, Vice President of Marketing and Director of Wine Education, holds his unique and eclectic wine seminars, on subjects ranging from reading a label, wine tasting, or what kosher wine is. They are seminars that should not be missed, and on an aside, a personal note, Jay if you are reading this, I hope your leg is doing better. To the left though was the Raison d’être of the evening – the wines and Todd’s delicious food. As you enter the tasting room, the table with Herzog Moniker-ed glasses is to your left. 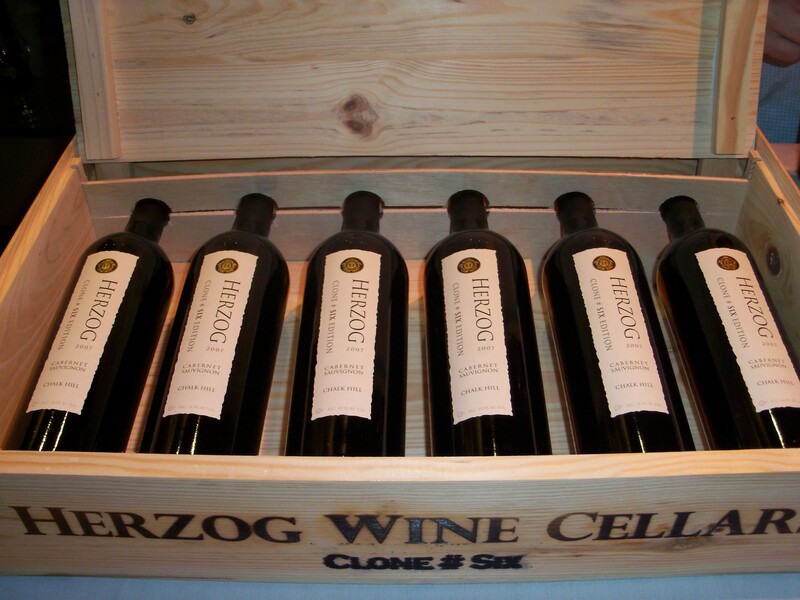 With a glass in hand, we entered the hall that is Herzog’s tasting room. There were some 12 to 13 tables with wine on it, someone to pour the wine, and finally, a person intimate with the wines or better, the wine maker. Past all the tables and wine bar, is the now renowned Tierra Sur Restaurant, run by the incomparable Todd Aarons, the Executive Chef of Tierra Sur. The entire restaurant, the sitting areas, and the adjoining patio, was setup with elaborate dishes and on-the spot preparation utensils, to heat/smoke/finish any of some 20 to 30 dishes. The layout, display and hands on preparation by the many chefs of the restaurant, only help to accentuate the evening, and gives the average consumer, an almost chef’s table view into the world of elite class dining. As usual, the staff of Herzog Winery were out in force, and it was great to see them all again, Cellar Master Josh Goodman, and the fore mentioned Head Wine Maker, Joe Hurliman. However, to pull off an event of this scale, you need many people. Even if you leave aside all of the mashgichim needed to pour the wine, or all the wine makers/wine promoters who talk to the wines on the table. What about all the spit buckets that magically are empty when you turn to use them, though you swear you just spit into one of them a few moments ago. Or, what about all the preparation that was required to pull this off (hint hint Monica), the setup of all the tables, the shipping in of all these wines, the Herzogs that seemed to be in view whenever you took your eye off the wines or food, or the management of the human mass that seemed to almost overrun the winery, but not to the point of getting in your way. All of this work, which is in NO way small, needs a huge round of applause. No, I do not work for Royal, nor do I sell their wines. What I am is a wine blogger with at least a decent eye for the not so obvious. Some call me observant, and not only in a religious manner. In no way was the gathering in your face, nor was it oppressive or difficult to get to wine you wanted to taste. Instead, the event was quite impressive, well run, and in so many ways yet another step forward for this progressive kosher winery. Last year, the event was equally impressive, but the crowds were smaller, in an almost diminutive and unfortunate manner. More than a few of the wines were corked or DOA. Further, sometimes, the tables were left with people who poured the wines, but knew nothing about them. All of these issues took away from the event. This year, all of those issues were rectified, in an impressive tour de force that truly brought the Herzog and Baron name great “nachas” and accord. Nary a bottle was DOA this time, some may not have been so great, but none were dead because of poor shipping, lack of foresight, or poor cork/bottle management. The crowds were robust, but as stated already, not oppressive. 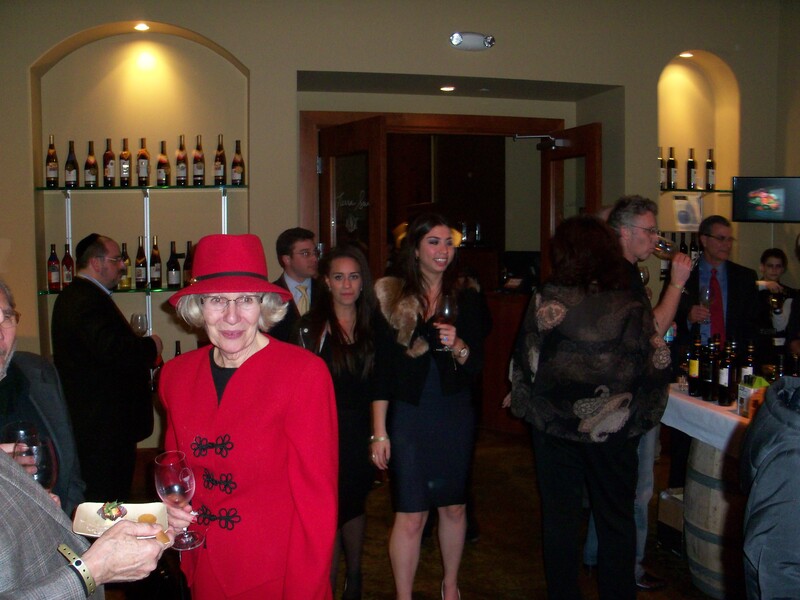 The tables were manned by people passionate about the wines, and equally capable of talking to them at a drop of the hat. Finally, the selection was impressive as well. I asked one of the Herzog’s why many of the wines that were poured at the New York wine tasting, were not here in California? He aptly replied that it is up to the wine makers. If they want to come to California, then they are more than happy to help promote the wines. However, a few of the wineries, like Alexander and Tzuba Wineries, both of which we have highlighted in previous, were no shows at the California tasting. 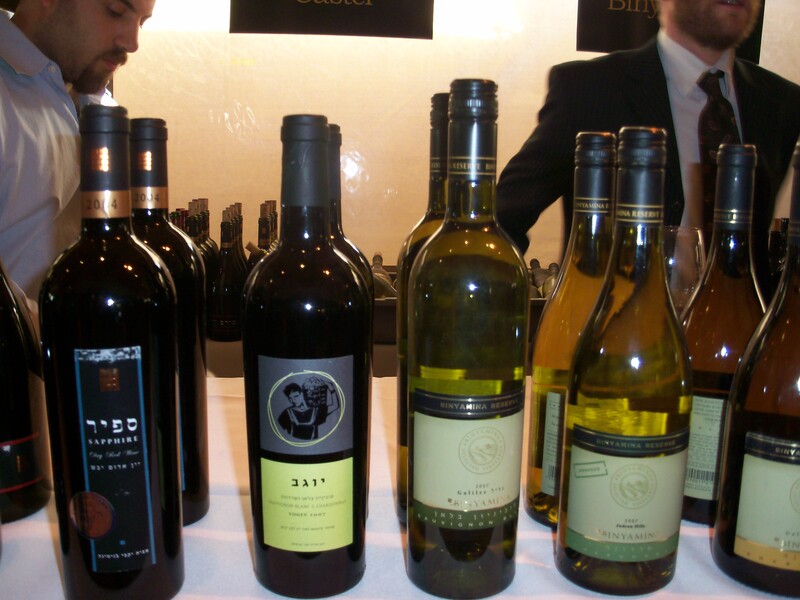 I hope that next year, more people will get a chance to taste some of these magnificent wines from Israel. So without further ado, left us take a quick virtual tour around the room before, we adjourn to the restaurant, where we will give Todd his insane due. 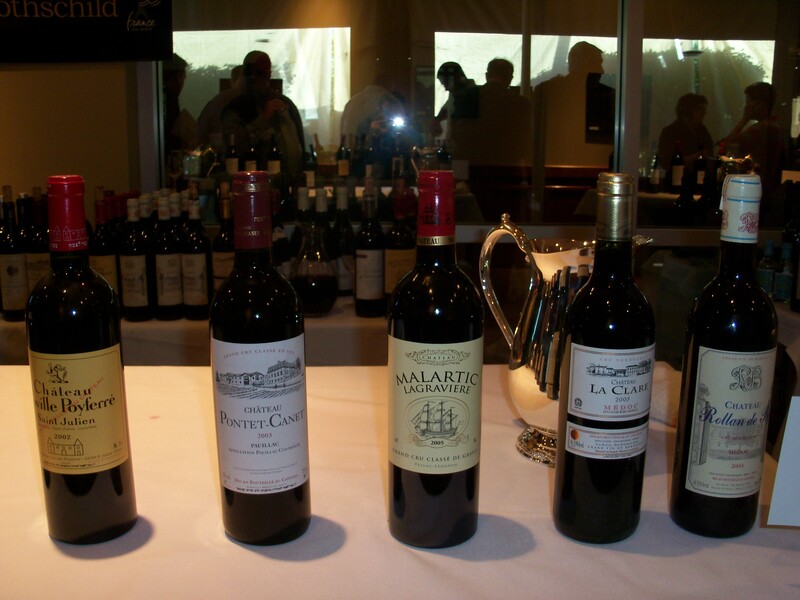 The wines were laid out on tables that stretched into three rooms each parallel to the next. 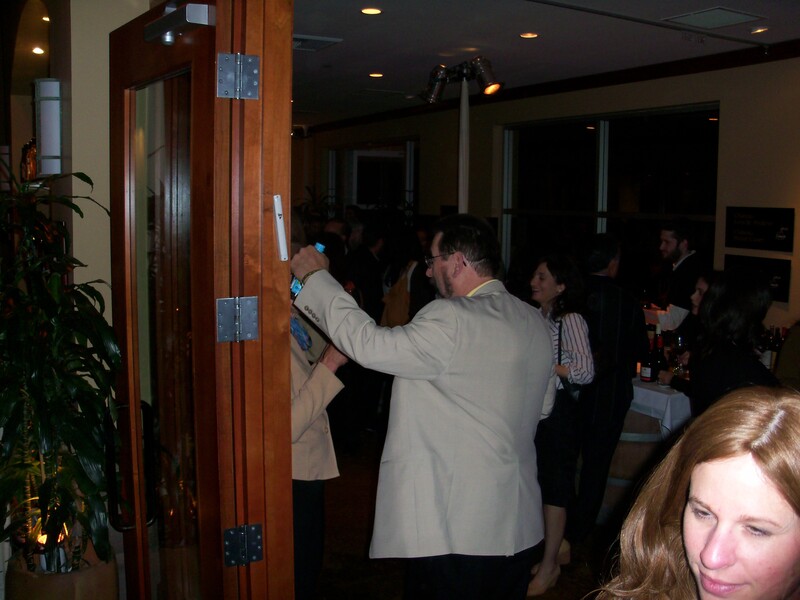 The tasting bar and adjourning tables graced the first room. The bar was manned by Josh and the head wine maker of Covenant Wines, Jeff Morgan, along with a couple of mashgiach. Josh and the mashgiach was pouring many of Herzog’s top tier wines (notes to come), while Mr. Morgan was talking to the two bottles that were being poured, the Covenant Lavan, Red Sea, and Covenant Cabernet Sauvignon. 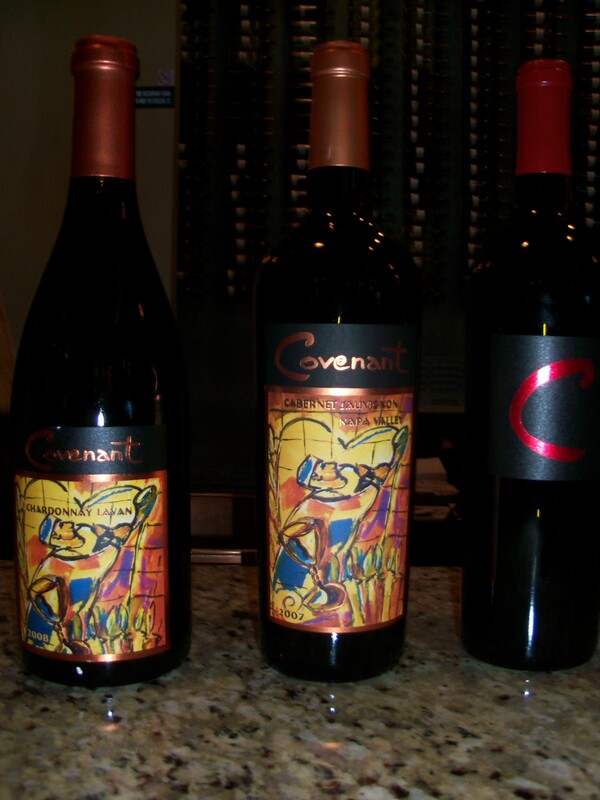 Both are top tier wines, and worthy of the name covenant. On the opposite side of the room, facing the wine bar was Joe Hurliman and Jack, another wine hand in the winery, pouring the newly released Clone 6 Cabernet Sauvignon, which too was out of this world. It is absolutely fantastic to be in a single room, with two premier wine makers, I almost caught myself going staring too long. Listening to them talk about their wines, their wineries, and the grapes used, was quite a treat. A little further into the hall, towards the restaurant (with the wine bar to your right), you come upon the Italian and Spanish wines tables (excluding Capçanes – more on that later). 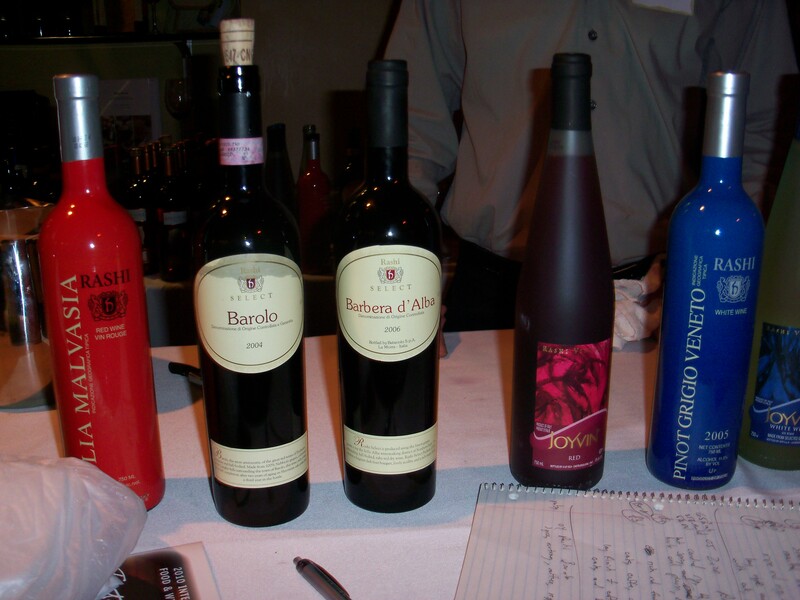 I had the pleasure; once again, to talk with the wine promoter of Rashi Wines and Italy, he is as always well versed in his wines, and a true connoisseur of wines, as a whole. In the next room, you found the affable Pierre Miodownick, Chief Winemaker of Royal Wine in Europe, manning the two tables laden with French wines. The table is just a glimpse of the 70 or so bottles of French wine that Royal produces every year. 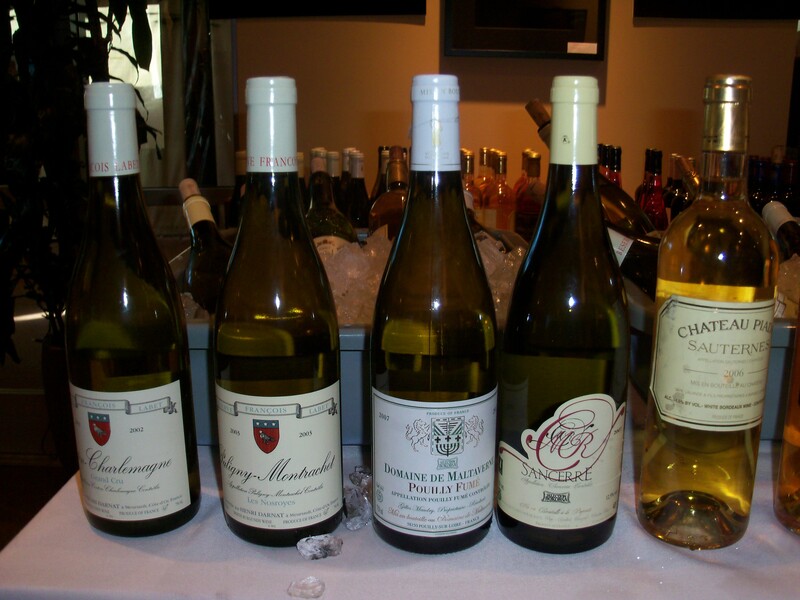 These were a mixture of vintages, and terroir, which was well thought out, to give the consumer a good distribution of tastes and sensations, that Royal hoped highlighted the many flavors that define French wine. To the right was a table of South American wines, including a lovely Gran Malbec (that we tasted last year), and also on a separate weekend last year. To the left was a table filled with spirits. On another aside, last year it seemed that there were many more people in need of help driving home, after they “drank” the spirits table dry. This year, though I was not looking often, the table was being managed carefully, and with respect to what was being poured. 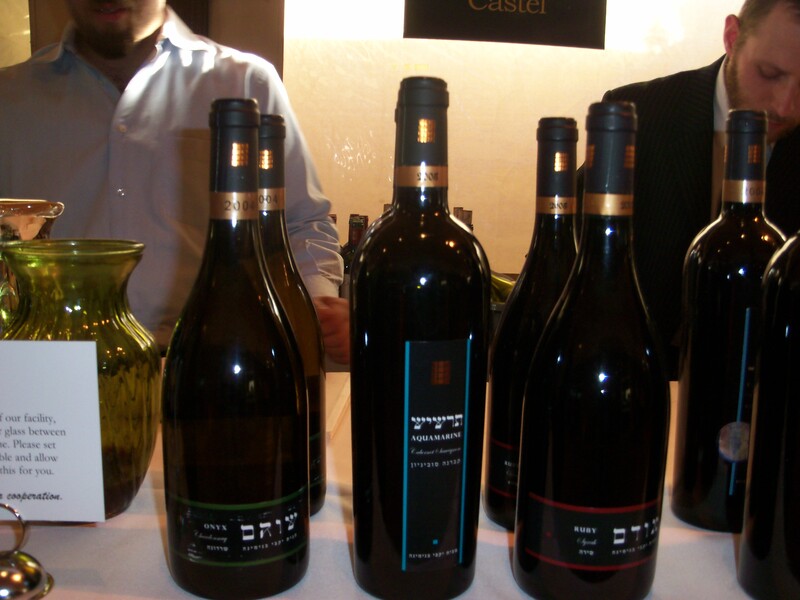 In the final room, there were four tables, filled with wines from Israel. One table housed wines from Zion Winery, which I must admit; I did not have a chance to partake from. Given the immense wine selection, and immense interests I had, and finally, given that no matter how much I spit, I still take some wine in, I was limited! Another table housed Binyamina, Barkan, and Segal wines. It was overseen by the gregarious and fun loving Assaf Paz, one of the wine makers of Binyamina Winery. 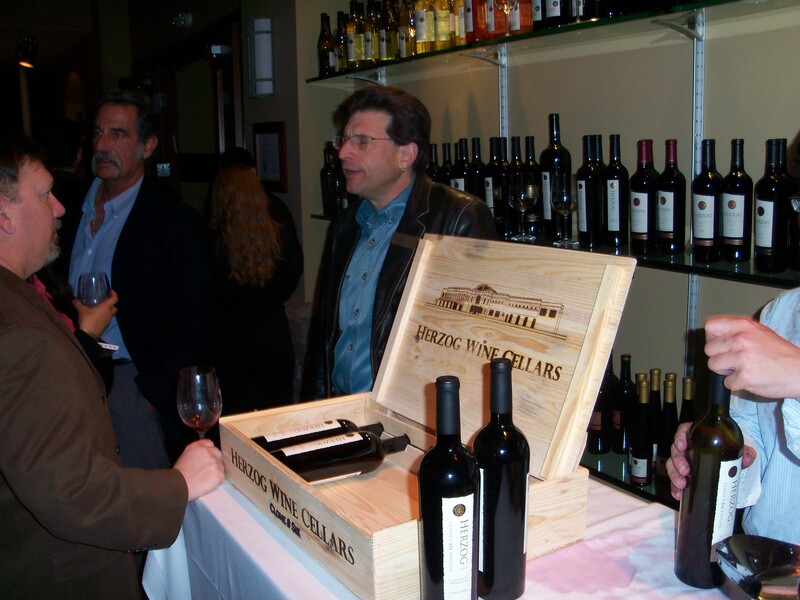 He has come to the California tasting, since its inauguration, and always helps to liven up the festivities. This time, he brought along a bottle of the 2007 Binyamina Ya’alom/Diamond blend. Awesome, and in limited supply, many thanks Assaf for your passion, love of Israel, wine making skills, the dram of Diamond, and for saving the Carignan vines! 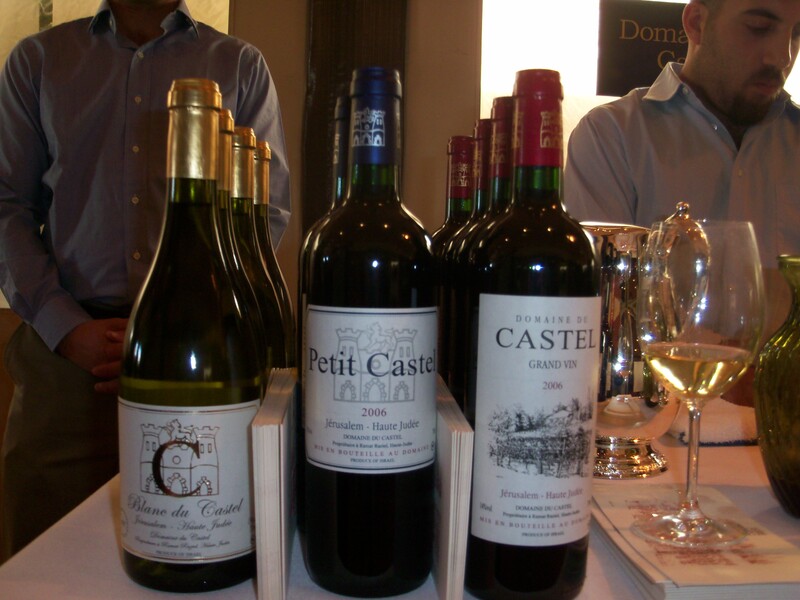 The next table was manned by the ever promoting Gary J, who was pouring Carmel, Yatir, and Capçanes wines. These were some of the best wines of the evening, and Gary did a wonderful job of talking to the Carmel and Yatir wines, while Jurgen Wagner, the master blender of Capçanes, talked to the Spanish wines. The story and background to Capçanes, is worthy of an entire blog posting on its own, yes whetting your appetite! 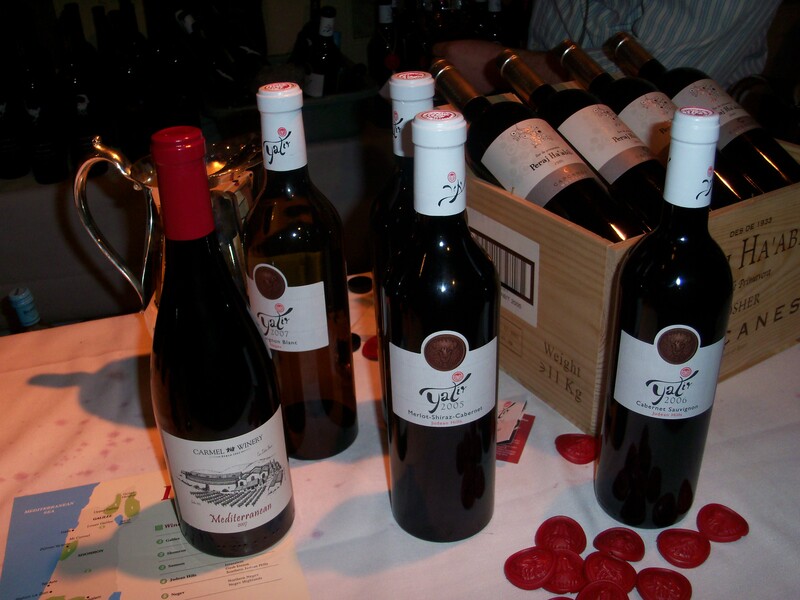 The final table housed a multitude of other Israeli wines, including Gamla, and others. To some the food was the highlight of the evening. To be fair, this is world class food we are talking about. Maybe the best kosher restaurant in the world, according to Daniel Rogov, but for sure top ten. That is elite company, and worthy of at least a paragraph. 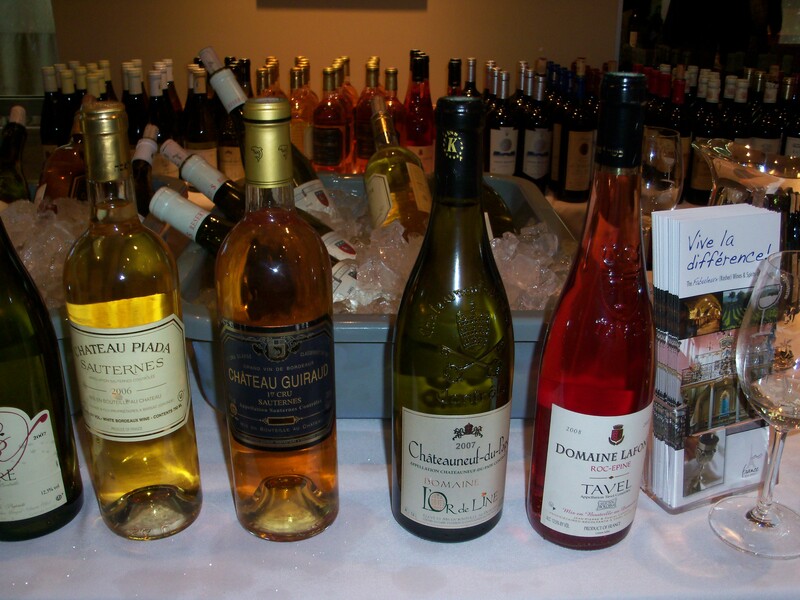 Personally, I do not touch any of the food, until late into the evening, until after I have finished tasting the wines. Why? Because Todd’s cuisine has layers upon layers, complex textures, and a cacophony of flavors. Not being a professional, I have a difficult time separating flavors that emanate from the food versus the wine. So, I just take care of my wine interests, and then get into the enjoyment of tasting food from a master, who has years of experience at stimulating and enlivening your taste buds. To enter the “food court”, you pass through two full height glass doors, and attempt not to be too awe struck. You see, as one enters Todd’s abode, one cannot help but smile and remember your first encounter with the shuk in Jerusalem. Every one of your senses is pushed to the max, in the most awesome and spellbinding way. Where ever you place your eyes, food is laid out in a manner that makes your mouth water. The smells of all the wonderful and varied foods, and sounds of people’s delight, only help to heighten your already elevated senses. Once you entered, there was a stack of disposable and bio degradable plates along with eating utensils. 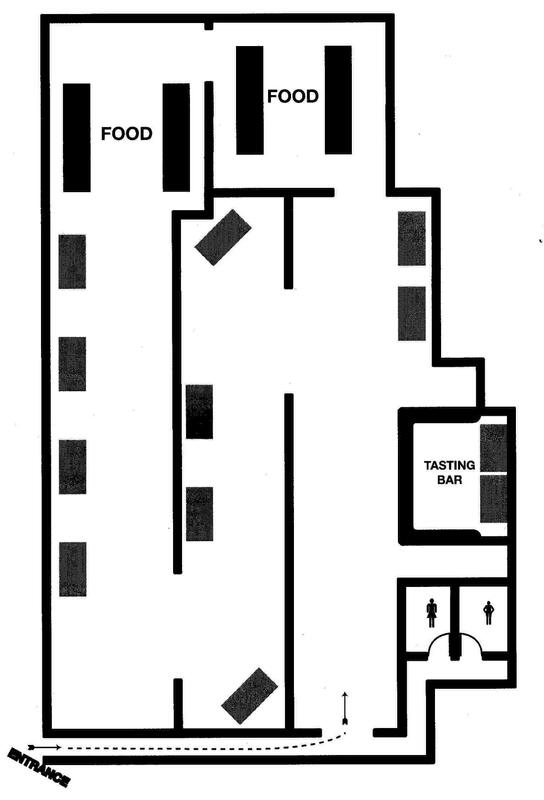 The room was filled with two large concentric circles that housed many small food selections. Each of these selections, either came already prepared on a plate, or you could ask for a slightly larger or different configuration, if you so desired. The inside circle housed dessert and fish dishes. The fish dishes were plated ahead of time, Tuna Tartare, Smoked salmon, Quail egg pizza, Yellowtail and white fish. The desserts, which I did not try, included Rum Baba with chocolate frozen custard, blueberry trifle, and chocolate truffles. The outer circle housed many meat dishes, gnocchi (my favorite of last year), and duck pasta with crazy amounts of shaved truffles! Sweet bread and venison pate, and another pate that I missed. As you walk outside, the ever present smoke smell, that at times overpowered the wine room, turned into an all out olfactory onslaught. The smoke from the barbeque and grill, along with the deep and aromatic smell of the stone ground corn soft tacos, fill your senses. To the right of the patio, was where I saw the first and only line of the night. It was the line for the Wagyu sliders, along with a bunch of other mouth watering charcuterie. To the left was the taco stand, and was where I was found a couple of times that night, gathering some tacos and meat mole. For full disclosure, I was in the Wagyu slider line a couple of times as well. 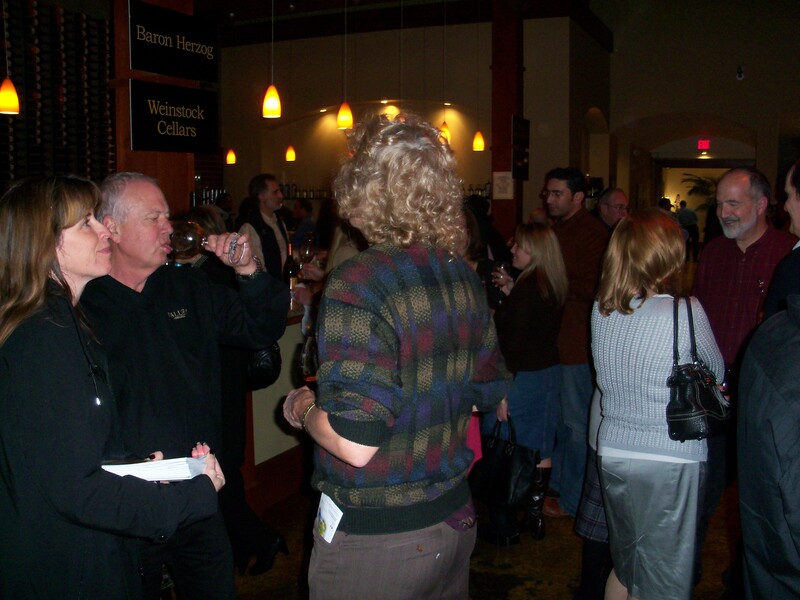 So, there you have it, my short posting on the 2010 Wine festival. To be honest, this posting is already too long, and did not even give a partial due to all the immense work that went into it. So, I will have to stop here, and have another posting with all the wine notes. However, this posting cannot end without a shout out to the Herzog Winery, its staff, and ownership, which put together a monster of a show. Words truly do not suffice in singing the praises of the event and the entire staff who made it a reality. Many, many thanks to you all and I am as always, looking forward to the next one. 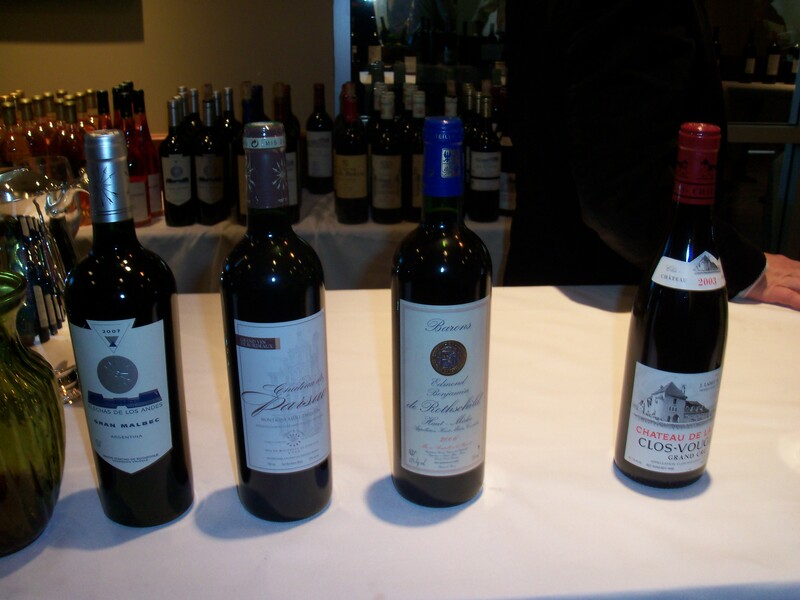 The wines notes will follow soon…. Posted on March 19, 2010, in Food and drink, Wine, Wine Tasting and tagged Herzog Cellars Winery, IFWF, International Food & Wine Festival. Bookmark the permalink. 13 Comments.